Kick off your visit on the 17th (Sat): tour the pleasant surroundings at Sunset Cliffs Natural Park and then meet the residents at San Diego Zoo. On the 18th (Sun), you'll have a packed day of sightseeing: see the interesting displays at USS Midway Museum and then tour the pleasant surroundings at La Jolla Cove. For other places to visit, ratings, more things to do, and more tourist information, read our San Diego trip itinerary planner . Los Angeles to San Diego is an approximately 2.5-hour car ride. You can also take a bus; or fly. Expect a daytime high around 26°C in November, and nighttime lows around 16°C. Finish your sightseeing early on the 19th (Mon) so you can drive to Los Angeles. 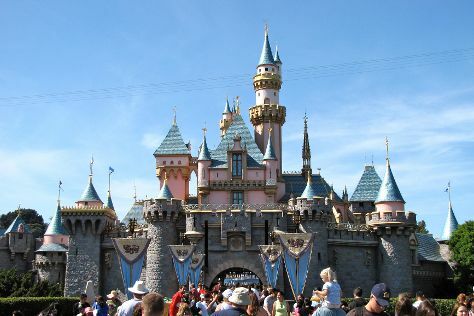 You'll find plenty of places to visit near Los Angeles: Anaheim (Disneyland Park, Disney California Adventure Park, & more). Pack the 21st (Wed) with family-friendly diversions at Universal Studios Hollywood. There's much more to do: see the interesting displays at The Getty Center, see the sky in a new way at Griffith Observatory, Head underground at Bronson Caves, and explore and take pictures at Staples Center. To find more things to do, photos, ratings, and tourist information, go to the Los Angeles online itinerary planner . Traveling by car from San Diego to Los Angeles takes 2.5 hours. Alternatively, you can take a bus; or fly. In November in Los Angeles, expect temperatures between 28°C during the day and 15°C at night. 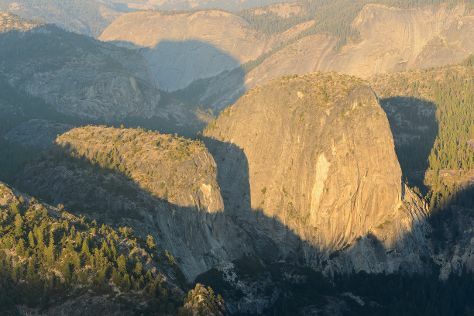 Finish your sightseeing early on the 24th (Sat) so you can travel to Yosemite National Park. On the 25th (Sun), tour the pleasant surroundings at Mariposa Grove of Giant Sequoias, then get all the information you need at Yosemite Conservation Heritage Center, and then explore the striking landscape at Glacier Point. Get ready for a full day of sightseeing on the 26th (Mon): take a memorable drive along Tioga Pass, then explore the striking landscape at El Capitan, and then make a trip to Olmsted Point. To find photos, traveler tips, ratings, and other tourist information, read Yosemite National Park journey planning website . Traveling by combination of flight and car from Los Angeles to Yosemite National Park takes 4.5 hours. Alternatively, you can drive; or do a combination of flight, bus, and taxi. In November, Yosemite National Park is colder than Los Angeles - with highs of 14°C and lows of -8°C. Wrap up your sightseeing by early afternoon on the 27th (Tue) to allow enough time to travel back home.